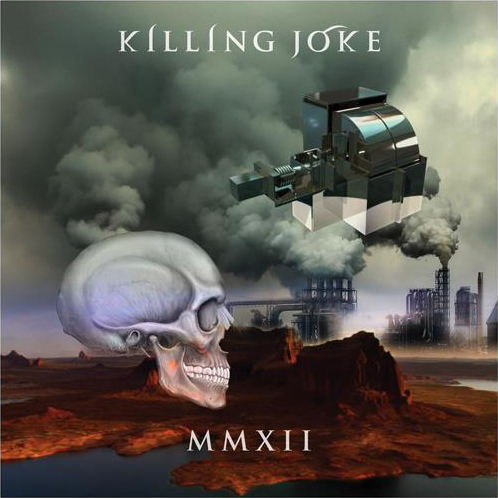 April 2nd sees Killing Joke release their new album, ‘2012’, on Spinefarm Records / Universal. 2012 is the perfect year for us to be releasing an album that is as dense and as dark as the surrounding swirls of madness in the world. At a time when the news is fast-forward and the planet seems to be descending into madness, who better than Killing Joke to reflect this? When their original line-up of Jaz Coleman, Geordie, Youth and Big Paul reconvened in 2008 after working together intermittently, that strange voodoo once again filled the room. Individually, they have a power, but together they have something sulphurous and strong that few bands can match. Killing Joke are not an average band with an average agenda; they lock the door and let the ritual commence, and ’2012′ is the result. ‘2012’ is possibly Killing Joke’s best album ever, and fittingly Mike Coles, long-time Killing Joke collaborator and artistic genius, has completed the artwork. ‘2012’ is a dense and multi-layered work. Killing Joke have never sounded so intense. The songs are great washes of sound – a death disco with huge slabs of guitar that soundtracks these dangerous times. ‘2012’ is an end-of-time album that somehow finds moments of optimism in the downward swirl of the planet. Finding hope in the apocalypse, this album just could be their masterpiece. Jaz laughs that wild laugh and stares.